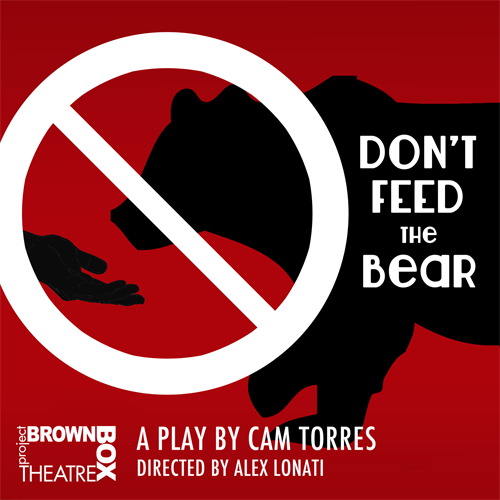 Brown Box Theatre Project (Brown Box) opens its ninth year of programming with a world premiere of don’t feed the bear, a workshop production. Local playwright Cam Torres stars in his one man show, touring to Rhode Island, Boston, and Ocean City. Brown Box’s mission is to break down barriers to live theatre by bringing the very best in performance, design, and collaboration to unconventional venues and underserved destinations. In keeping with this model, Cam Torres’ don't feed the bear is a play that challenges the ways in which theatre is typically created and consumed, and it will transform public spaces into vibrant cultural and tourist destinations. The company seeks to use performance as a way to reach new communities, share diverse stories, and spark conversation. In a theater, or a place where theater can happen, there exists Will. At the least, Will is born out of words on a page at the whim of a playwright; But Will is anyone, anywhere, anytime. Battling their own existence, Will questions reality, explores human connection, and admits deafening loneliness and debilitating insecurity in the common pursuit of life, liberty, and happiness. With Will, we witness what it means to be utterly and horribly human. don’t feed the bear is a raw opportunity to follow one character’s journey to find connection: connection with life, art, and ultimately the people in front of them. Funding for this event is provided in part by the Worcester County Arts Council, Maryland State Arts Council, and Massachusetts Cultural Council - organizations dedicated to cultivating a vibrant cultural community where the arts thrive. Please note this production is rated PG13 for use of adult language.